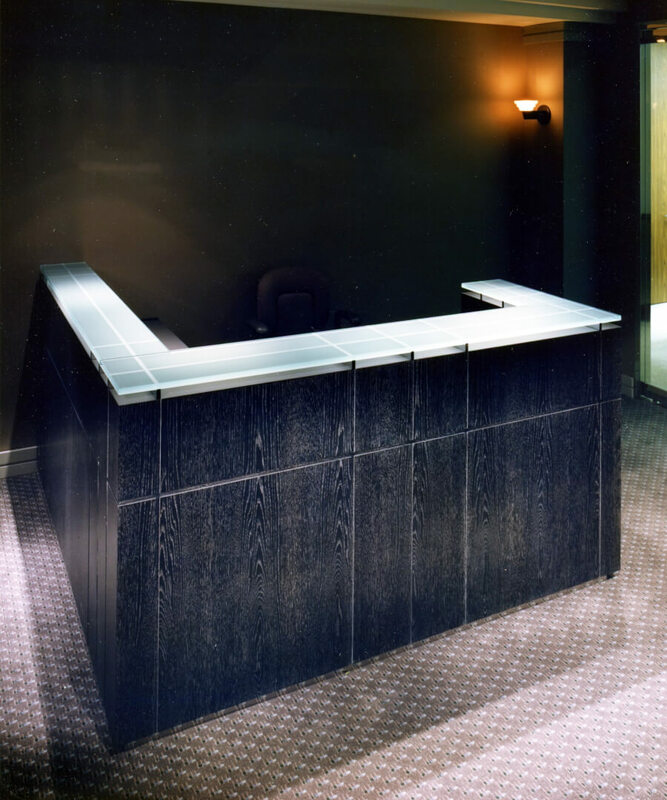 This unique reception desk was designed by Sheridan, Zimmerman & MacGillivray for the law firm of Robert Shapiro. The casework is made of white oak that was stained black with a lavender-colored grain fill that complemented the office carpeting. 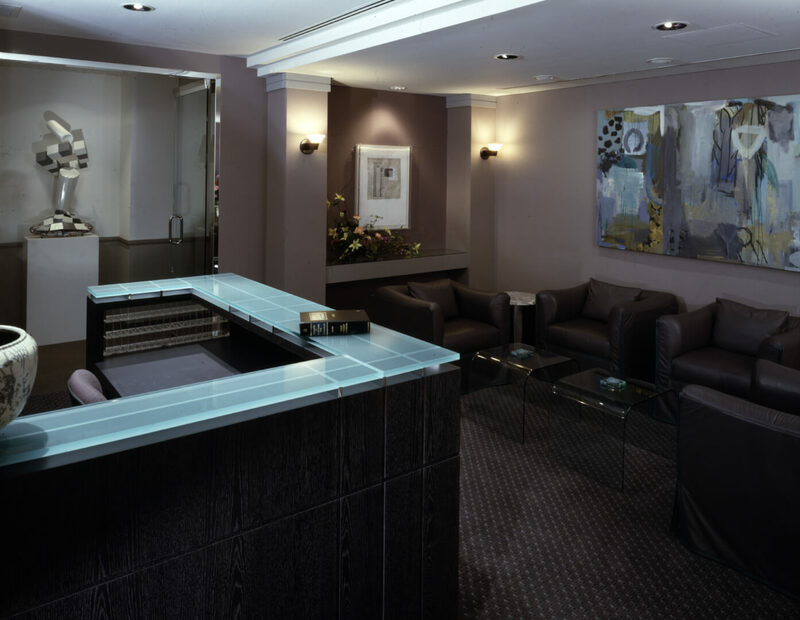 The desk is topped with 3/4″ glass that was sand-blasted on it’s underside to create a frosted look under the room’s overhead lighting. Directly under the glass is a chrome-plated steel grid that elevates the glass. Channels are milled into the wooden desk aligned to the grid to continue their lines to the bottom of the piece. A built-in acrylic organizer separated in-coming mail for the many attorneys in the firm. The freshly installed desk before the room was furnished.